Inheritance law in Italy: the reserved portion. 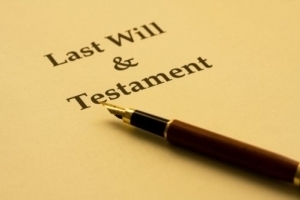 Legal assistance for last will and testament in Italy. According to Italian Law, the reserved portion, called "quota di legittima", is the part of inheritance that the testator can't dispose, nor by donation nor by testament, because due to the forced heirs, called "eredi leggittimari". The law reserves a portion of the inheritance, or other succession's rights, to the spouse, legitimate and illegitimate children, and the legitimate ascendants. Legitimated and adoptive children are considered as legitimate. If there is only one child, legitimate or natural, he has the right to inherit the half of inheritance. If there are more children, they are entitled to inherit two-thirds of the inheritance, to be divided equally among all the children (legitimate and natural). If the testator has no children and spouse, but only legitimate ascendants, these ones has the right to inherit one-third of the assets. The spouse has the right to the half of the heritage, except as provided in the case of competition with other heirs. Even when the spouse is concurrent with other heirs, he/she has the right to keep the family home, even if that home is owned by the spouse only. If there are the spouse and only one child, both are entitled to one-third of the heritage. When the children, legitimate or natural, are more than one, they have right to inherit the half of the total assets and spouse is entitled to one-fourth. The division among all the children, legitimate and natural, is made ​​in equal parts. When the testator has no children, but legitimate ascendants and spouse, the ascendants are entitled to one-fourth, the spouse to the half of the heritage. How is inheritance distributed in Italy? Acceptance of inheritance and benefit of inventory in Italy.